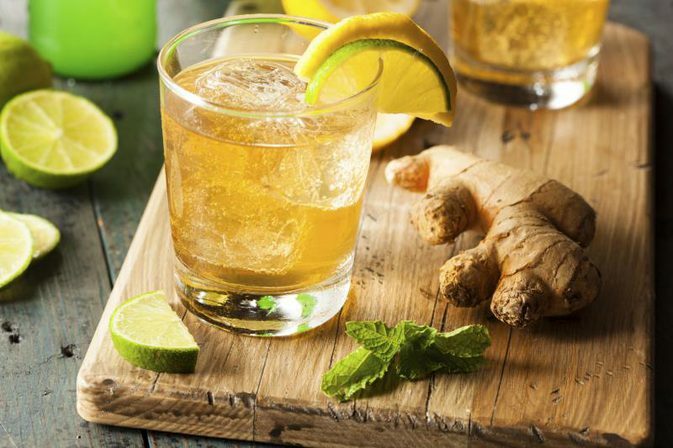 You are at:Home»Diet & Eating»Is Ginger Ale Good or Bad For You? Ginger ale is a carbonated beverage that is flavored with ginger. There are two styles of ginger ale, golden and pale. Golden style ginger ale is much richer in color than pale ale and it has a more intense ginger flavor. However, golden ginger ale is rare to find today. Originally, the golden style of ginger ale was invented by Thomas Cantrell, who was an American surgeon. The more commonly seen dry ginger ale is a Canadian creation by a chemist and pharmacist named John McLaughlin. McLaughlin established his pale dry ginger ale in 1907, and called it “Canada Dry Ginger Ale“. 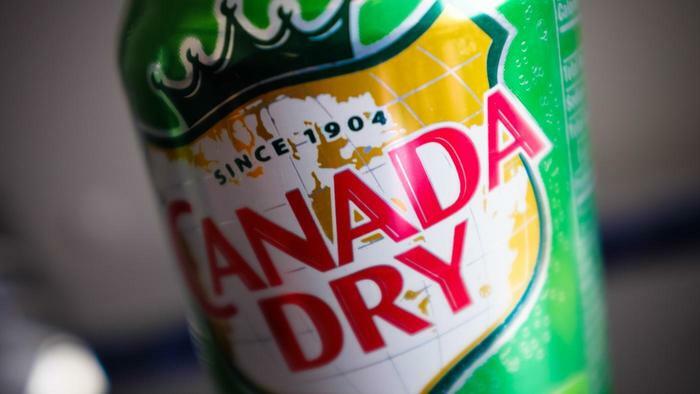 Canada Dry products were quickly accepted by people and its popularity started working its way down to the United States during Prohibition, as it was used to mix with alcoholic beverages. Dry ginger ale is now mass-produced internationally and is a common household staple. Is Canada Dry ginger ale good for you? Well, when it comes to sodas in general, Canada Dry ginger ale is more healthy than many of its alternatives. However, it still has a high content of sugar, making it a generally unhealthy beverage. If the sugar is the only problem, is diet ginger ale good for you? While there are unique ginger ale benefits, it still falls into the category soft drinks. The good thing is that ginger ale is considered to be one of the healthier soft drinks compared to colas because it does not contain as many unhealthy ingredients as other sodas do. Canada Dry diet ginger ale is not especially beneficial to one’s health, but it is certainly less harmful than other choices. Gingerol, the active ingredient in ginger, is what works to relieve the body’s digestive system. Gingerol slows down intestinal spasms. Ginger contains zingibain, which has antibacterial effects that can fight the cold and flu. People often drink ginger ale to relieve nausea, stomach pain, morning sickness, and upset stomachs. Ginger is a main ingredient that is used in cold medicines, analgesic agents, and antiemetic drugs. Ginger helps to reduce cold and flu symptoms as well as overall stress. Adults often use ginger ale as a mixer to an alcoholic beverage. Studies have shown that ginger products can help relieve nausea, and has therefore been tested against anti-nausea drugs to determine its effectiveness. Nausea levels for two groups of people who consumed either a ginger product or an anti-nausea drug appeared identical, however the people who consumed ginger were more likely to vomit within the first two days of the week-long study. However, while anti-nausea drugs often resulted in drowsiness, the people who consumed ginger did not experience this side effect. Some studies have found that patients who were given ginger after surgery to relieve their episodes of nausea and vomiting actually had an increased number of vomiting episodes. However, this research is varied, as other studies have found that ginger is very effective in settling one’s stomach following surgery. If ginger ale is consumed in a large quantity, it may result in heartburn. If this heartburn persists, you should likely take an over-the-counter antacid for relief. Some people who drink a lot of ginger ale report feeling bloated and gassy. However, bloating and gas are more likely to be felt by people consuming powdered ginger, rather than the ginger that is in the soft drink. If bloating and gas is a result of drinking ginger ale, it is more likely caused by the carbonation rather than the ginger. When ginger ale contains real ginger root rather than ginger flavoring, it has the ability to prevent blood from clotting in surgery patients. Because of this, it can lead to excess bleeding and therefore a prolonged recovery after surgery. Some doctors urge their surgery patients to avoid drinking ginger ale following their surgery. Ginger can irritate or even worsen certain intestinal diseases and gallstones, so people suffering from these ailments should avoid drinking ginger ale. Acupuncture and acupressure are two alternative remedies to digestive issues. People who are prone to motion sickness may use acupressure wristbands and have success with alleviating their nausea. 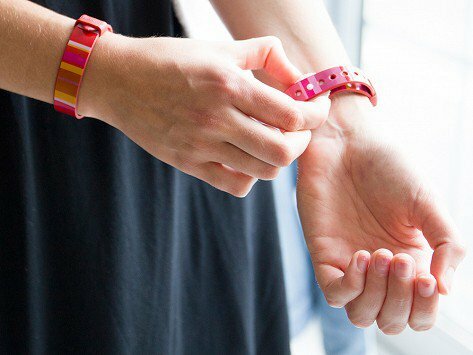 Acupressure wristbands are a modern-day version putting pressure on acupuncture points that control one’s nausea. Acupressure bands have plastic balls that apply relieving pressure to the inner wrists. As with using acupuncture to cure nausea, proper placement of the acupressure bands is a vital part of this therapy. Acupuncture is done as a preventative measure while consuming ginger is often done to heal existing nausea. On the other hand, ginger powder mixed with can be consumed prior to traveling. This is a less invasive method of attacking nausea, and may also be less effective. While the ginger that is in ginger ale can help mute motion sickness, you must be sure that your ginger beverage contains actual ginger and not just ginger flavoring. Many brands of ginger ale that are sold in stores actually contain very little actual ginger, which means they do not provide the optimal health benefits that the fresh herbs do. Some brands of ginger ale are even flavored, containing no ginger at all. Research ginger ale prior to buying it if you are looking to reap the health benefits, and consider making your own ginger ale soda at home, as it is fairly simple to make. The first soda that was made in America was Vernor’s Ginger Ale in 1866. It was created in Detroit by James Vernor, who was a pharmacist. James Vernor sold his product for the health benefits of ginger ale for 30 years in his pharmacy before opening a factory for mass-production. During the 1800s, bartenders would put out little containers of ground ginger so customers could sprinkle it in their beer. The highest quality ginger is a pale rhizome that is grown in Jamaica. It was used medicinally to combat the plague during the 1400s and 1500s. In conclusion, when determining if ginger ale is good for you or bad for you, it falls somewhere in the gray area. While it does have some health benefits, it is often loaded with sugar, which is very unhealthy. It is important to use ginger correctly to combat nausea and other health related issues that does not necessarily involve drinking it in a soda, unless in small moderation.